“The Voice” returned Wednesday to reveal the last competitors standing from teams Cee Lo, Adam, Christina and Blake. After nine weeks of competition, the four finalists are: Vicci Martinez, Javier Colon, Dia Frampton and Beverly McClellan. In theory, celebrity coaches had a strong say in selecting who from their team should advance to the finals on NBC’s hit singing competition. Their scores from Tuesday's performances were combined with viewers’ votes. Only Adam Levine used his power to provide an extra boost for a team member. 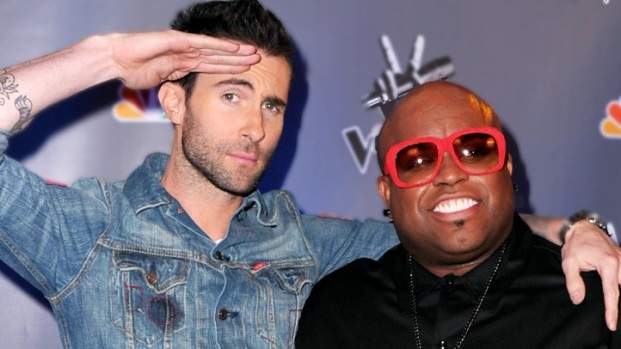 Out of 100 points to divvy up, the Maroon 5 frontman gave 65 points to Javier Colon and threw just 35 to Casey Weston. “I know that looks bad,” Adam said of his decision to nudge one of his protégés to the exits. He said he viewed both performers as “equals” but had decided to “play the game” because he would rather Javier catch a break. In the end, Javier scored 138 points, well above Casey’s 62. If Adam opted to play the game, coaches Cee Lo Green, Blake Shelton and Christina Aguilera were content to let America decide who would be eliminated from their teams. First up was Cee Lo, who gave Nakia 51 points, compared to 49 for Vicci. He said the small disparity was because drums had covered up Vicci’s vocals during her live performance on Tuesday. But he said that after listening back to her performance on tape, he should have doled out a 50-50. Not that it mattered. When viewer votes were added to the tally, Vicci earned her spot in the finals with a 124 point score, compared to just 76 points for Nakia. 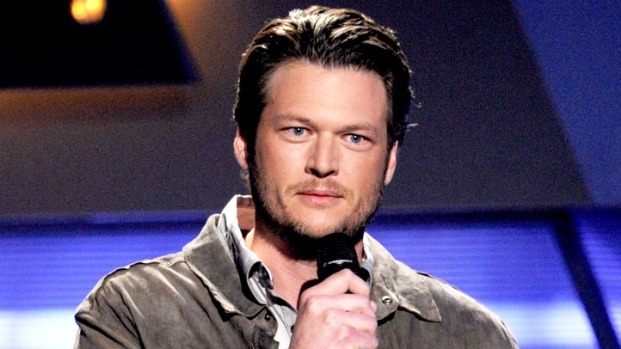 Blake Shelton and Christina Aguilera went the same route – each gave both performers from their teams 50-points each. Dia went on to best Xenia by 12 points, and was rendered speechless by the news with tears streaming down her face. More singers will depart "The Voice" Wednesday, leaving just four of the eight remaining contestants for next week's finals. The NBC reality show has been a ratings hit for the network. When it was Team Christina’s turn, the pop star likened judging Frenchie Davis and Beverly McClellen to "apples and oranges." “The two of you are so individual and unique in your own talents,” Christina said in explaining why both deserved to split her 100 points. But America gave the edge to Beverly, who beat Frenchie by 14 points. “She’s gonna bring the house down,” Christina predicted. Next Tuesday "The Voice" returns for its final round, with the winner of the show's $100,000 grand prize and record contract to be revealed the following night.